Indian entrepreneur Sanjeev Gupta led GFG Alliance on Thursday completed the acquisition of Australia’s leading integrated mining, recycling, steel manufacturing and steel distribution business, Arrium. The group will now begin a 100-day review of the business and finalize a transformation plan to make the 6000-worker enterprise sustainable. This will include finalizing capital investments across sites, utilization of excess production capacity, reduction in raw material costs, greater energy efficiency, development of new high-value added products and services for the Australian market and increasing export of iron ore and steel products. The group will be investing 1 billion US dollar across the Whyalla steelworks and mining businesses for modernization and expansion. “After a long period of uncertainty, the GFG Alliance and this highly skilled and committed workforce can now work together to be the authors of an exciting new chapter in the Australian steel industry. As we now focus on our plans for investment and growth, we have every reason to be confident that this business shall increase its already significant role in supporting the construction of Australia’s future,” executive chairman of GFG Alliance, Sanjeev Gupta said. Gupta added that an “early win” would be the opportunity to make high grade API slab at Whyalla for the group’s plate mill in Scotland which will be used in the group’s large diameter SAW pipe mills in the north east of England. 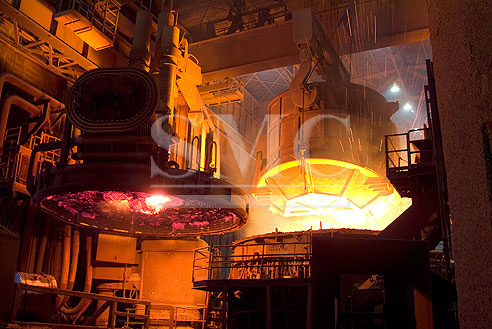 With this acquisition, the former Arrium mining and port operations will now be rebranded as SIMEC Mining and SIMEC Infrastructure divisions respectively while OneSteel and its operating divisions will become Liberty OneSteel. SIMEC group as well as the Liberty House Group are sister concerns part of the larger GFG Alliance owned by the Gupta family. The group that is exploring further investment opportunities Down Under has a track record of acquiring loss-making assets in the UK which has made it the country’s largest industrial employers with more than 5,000 workers.